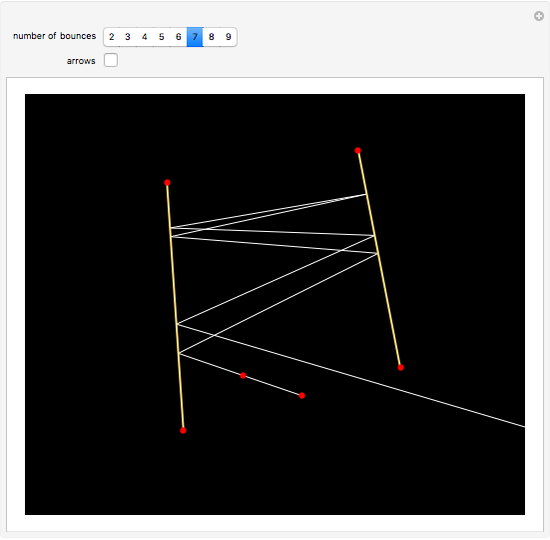 This Demonstration shows a ray of light reflecting in two mirrors a given number of times. You can drag the red points to move the mirrors and the ray of light. Jaime Rangel-Mondragon "Multiple Reflections in Two Mirrors"